The numbers say so. The Bulls shooting guard will finish the season in the top 20 in the NBA in scoring, currently averaging 23.7 points per game. The 24-year-old established career highs in rebounds and assists and was one of 10 guards in the NBA to average at least 23 points, four assists and four rebounds. The others are James Harden, Stephen Curry, Devin Booker, Bradley Beal, Damian Lillard, Kemba Walker, Kyrie Irving, Donovan Mitchell and Russell Westbrook. LaVine scored at least 40 points three times, all in wins, accounting for 14 percent of the team's victories in just those games. But it is difficult, at times, to see LaVine's brilliance. Because it is obscured by the clouds of defeat hovering over this Bulls season that concludes this week Tuesday in the United Center against the Knicks and Wednesday in Philadelphia. LaVine understands, which is also why next season is so crucial for the team and its young players who are hoping to shine for everyone. "The main thing I learned (this season) is you'll have individual accolades. But a lot of everything comes from winning," LaVine said in a free wheeling session with reporters before Saturday's game with the 76ers. "I think I put together a really, really good year, especially for my position as a guard. But I didn't get the accolades I want as an All-Star or all-NBA. You're not on a winning basketball team. Those things come from that. You have to put winning first. "We want to be in the position moving forward to where we want to be one of those competing teams," said LaVine. "Come this time next year to be in position to where we are not playing meaningless games. I think I haven't played in a meaningful game in five years of my career. So I think it's getting to the point where you really want to start looking past self things and moving toward (winning) basketball games. It's not fun to go home in April. I (do) think we're in the right direction moving forward, but we have to make some changes individually and as a team to get to that point." I think I put together a really, really good year, especially for my position as a guard. But I didn't get the accolades I want as an All-Star or all-NBA. You're not on a winning basketball team. Those things come from that. You have to put winning first. This has been a disappointing season for everyone associated with the franchise. 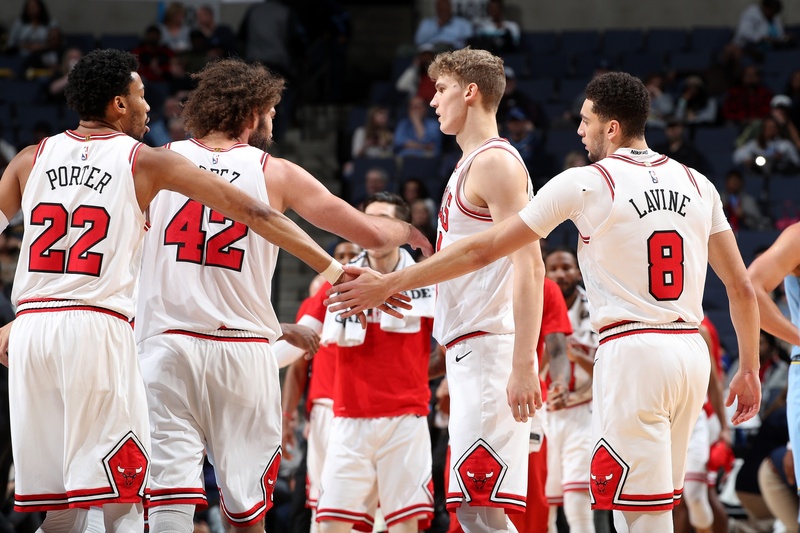 The early season injuries to Lauri Markkanen, Kris Dunn, Bobby Portis and Denzel Valentine effectively crushed a season that was supposed to be competitive, if not ultimately fulfilling. It appeared the Bulls had made an unusually fast turnaround for a rebuilding with the Jimmy Butler trade and then drafting Wendell Carter Jr., the latter who was hurt in January as most of the others returned. It seemed before that the Bulls could be in theoretical playoff contention perhaps into April, like Charlotte, Miami, Detroit and Orlando. Not all will make the playoffs, but they have been in playoff-like settings the last few weeks scrambling for that goal. LaVine, Dunn and Markkanen would not commit to whether they would be playing if the Bulls were in such a position now. Though draft lottery positioning and player analysis seemed to become a factor once Otto Porter Jr. suffered some physical issues after the trade of Portis and Jabari Parker. Though LaVine's point is significant. Habits are developed. Losing can become one, also, if success is withheld too long. That it's a concern of LaVine's as much as the organization is a positive. It's what everyone will do about it. Not much can be foreseen yet with the draft lottery May 14 with several exceptional talents in the draft, and free agency possibilities. The Bulls are expected to be a player for other than the few elite free agents. So the roster could undergo yet another makeover with coach Jim Boylen going into his first full season after replacing Fred Hoiberg. But much of that success will be focused around the 6-5 LaVine, who has been the team's best player this season. 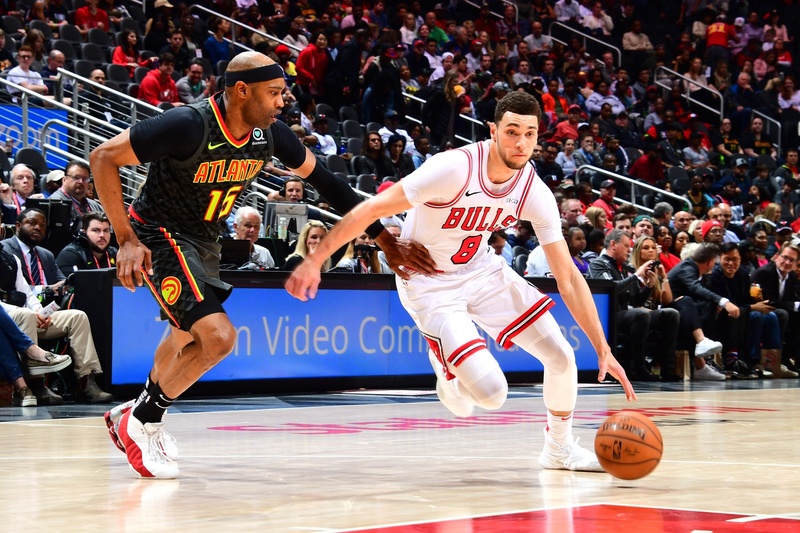 Though he only played 63 games in his first full season after ACL surgery in February 2017, LaVine was the team's most reliable scorer and a regular playmaking facilitator, second on the team in assists. 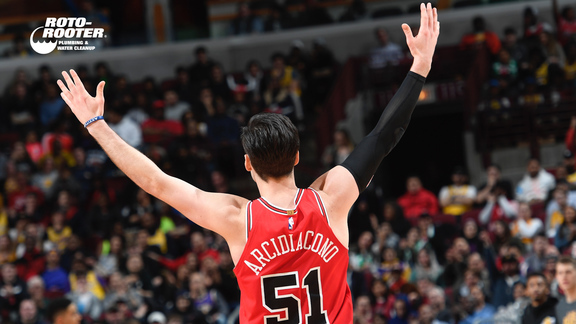 It's an impressive redemption from a free agency when many local critics argued the Bulls should not match his $78 million/four-year offer from Sacramento. "Now it's looking like I'm a pretty good deal, right," LaVine said with a laugh. 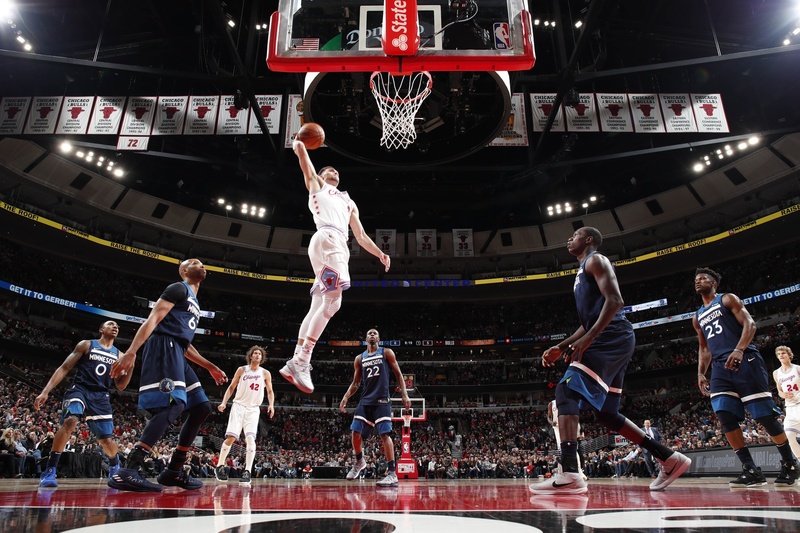 The Bulls have hoped Markkanen would break through, and he showed signs after missing the first two months with an elbow injury. But he faded in March and then experienced a potential heart issue, which seems under control. Porter added a nice bounce to the team after the trade, but he's had a series of minor injuries. Carter showed promise, but was hurt, and Dunn has been inconsistent. There are potential luminaries in the draft, but they are teenagers without pro experience. Come this time next year to be in position to where we are not playing meaningless games. The Bulls are fortunate to have a talent as outstanding as LaVine. But he also understands there is another level of excellence he has to reach before the Bulls can begin again to achieve those post season goals. LaVine said in his interview session he believes the Bulls will be a playoff team next season. But what else would he say? Put it this way: If he said anything else, who would even want him on the team. But because of his immense talent—and it is unique with his extraordinary athletic ability and incredible recovery from serious injury—LaVine is most likely in line to be the team's leader. Markkanen and Porter tend to be quiet and Carter is young. Plus, no one else makes (and takes) as many big shots at the end of games. That's mostly what NBA leadership is about. Leadership is not about saying it; it's about doing it. LaVine to his credit understands he's not quite there yet even though his statistics project excellence. Greatness in sports is consistency, being able to produce exceptional numbers regularly and thus take the pressure off your teammates so they can perform. LaVine showed he could do that this season, averaging more than 20 points for the first time in his career. That's the first step on the superstar ladder. But if LaVine is to climb higher and take the Bulls with him, he understands 63 games is not nearly enough, and the 23.7 points per game probably is not quite enough. The 3.4 turnovers per game certainly is too much, though Michael Jordan averaged more than three turnovers per game his first six years in the NBA. If you have the ball, you are going to make mistakes. But having that ball also requires you to make the deciding and determining plays that separate winning and losing. That's now on LaVine. "I just have to keep trying to improve my game," LaVine agreed. "You have to look at yourself in the mirror and try to improve the faults you had. I think I had a really good year this year, but there are a lot of things I think I could have done much better across the board, get to the line more, slow down the turnovers. I'm going to take this just as serious if not more serious than last year. I think if you can improve yourself first that will help the team. "I want to continue to be consistent, somebody who (you) can pretty much stamp in and know what you're going to get from them on a daily basis," LaVine explained. "Obviously, I have to (also) look at my defense on both ends. I've always felt like I've been a really good individual defender, but off the ball I think I have to put a lot more effort. I expect to improve each coming year. I think that's what you have to do to take your game to the next level. I help the team offensively in a big way, so if I can do it on both ends of the floor that elevates my game and the team's chance to win." The individual progression LaVine made from a third option averaging 18.9 points per game in Minnesota before his injury to a first option averaging almost 27 per game after the All-Star break is exceptional in the NBA. Sure, the Bulls had injuries, forcing LaVine to average a career high 18 field goal attempts and 34.5 minutes per game. It's a breakthrough only the potential All-Stars can make. But they don't get into the conversation without team success, which players understand better after being relieved of the pressure of their first major contract. That's where LaVine has come, and he'll be under the microscope as much as the team next season. Their fates are intertwined. "I think we're on the right path (toward the playoffs)," LaVine insisted. "I think we'll be there. Because stuff has to eventually turn. You can't as a player continue to be on the lower end of the totem poll. I think it has to switch the mindset for you personally and for the team. I think next year we have to start off really early and have that be our main goal. It doesn't matter about individual things. You have to put that first. I think we have enough talent. There's things we have to do better. But talent wise on paper, I don't see a lot of teams better than us in the East. LaVine was in the top five in scoring the first month of the season with most of the regulars out. It was a test, an opportunity and a burden. LaVine passed and was also among the league leaders in free throw attempts early. But with the mounting losses, the coaching change, an ankle sprain he fought through missing only five games when it was feared he could miss a month—did anyone mention all the losses—the usually upbeat LaVine began to retreat. He was the most accessible team spokesman all season with his garrulous personality and leading attendance. He never evaded the media and proved a thoughtful subject. But he clearly began to wear out over the defeats until a reprieve for a month following the Porter trade. He says it further proved to him his hopes for the team are accurate and reasonable. Zach and the Bulls say they're going to come out fighting next time with perhaps a little twinkle in their eyes and their souls. Wish he does, wish he might, have next season go right.